Are We Having a Trust Crisis? Trust, or the lack of trust, is causing havoc in our world today. I agree that trust is the new currency…and it can be difficult to earn and easy to lose. We are witnessing the fall of many of our industrial age institutions and systems in areas such as governments, education, agriculture, medical and pharmaceutical, media, religion and business. In that regard, I would say that there is a trust crisis in the world currently. 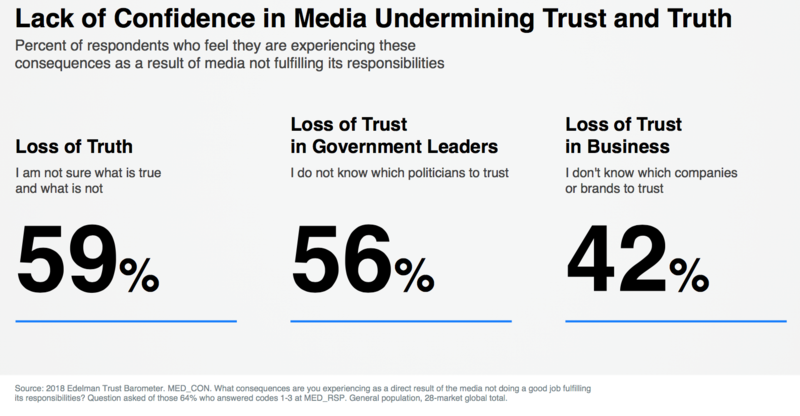 According to the latest Edelman Trust Barometer, the lack of confidence in the media is what is undermining trust and truth. This is why it is becoming more essential to be discerning and learning to trust what feels right to you as an individual. We need to become empowered and do our own research. Plus we are not taught to listen to our gut or trust our intuition. Some people naturally tune in and listen but the majority of people are not tapping into their own internal resources and rather rely solely on what they read or watch that is aligned to their own belief systems. In my NET Leadership training, we learn the neuroscience of engagement and trust. One of the foundations of this training is Conversational Intelligence or C-IQ™ founded by Judith E. Glaser. 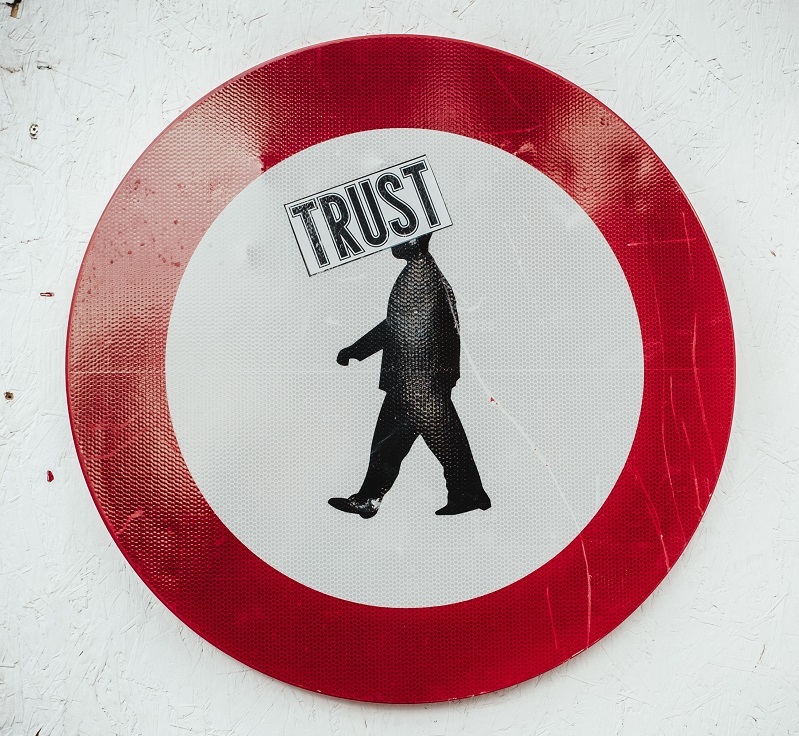 Once you learn the impact that your words have, the neurochemistry of conversations, and tools that you can use to increase trust levels, you can build high levels of trust quickly. I will often say that you can’t unlearn it, you just need to practice it. What I have seen in these trainings has been fascinating since it transcends cultures and nationalities because we are all human beings. There seems to be that transfer of trust with technology platforms we use as well. Rachel Botsman, author and a professor at Oxford’s Said Business School, brings another perspective in her book, Who Can You Trust? She says that technology is connecting people and building trust. So for example, we use Uber and will get into a stranger’s car and trust them to drive us to our destination. Or we use Airbnb and stay in strangers’ homes when we travel. If we trust the platform, then we will trust the people it is connecting us to. There is also an element of transparency on these platforms that show reviews and ratings—which increase (or decrease) the levels of trust in the individuals. We see the same thing with Glassdoor as it relates to a company’s reputation based on feedback. The technology reinforces the trustworthy behaviors that we want to see, and choose to interact with, by using that platform. So it seems that as the trust levels for our old systems are crashing down, we are learning more about how to trust each other. Perhaps there can be a common point where we can learn that we are all humans first and learn to be curious instead of judgmental about our differences. I believe the key is to learn to trust ourselves first and build on that.